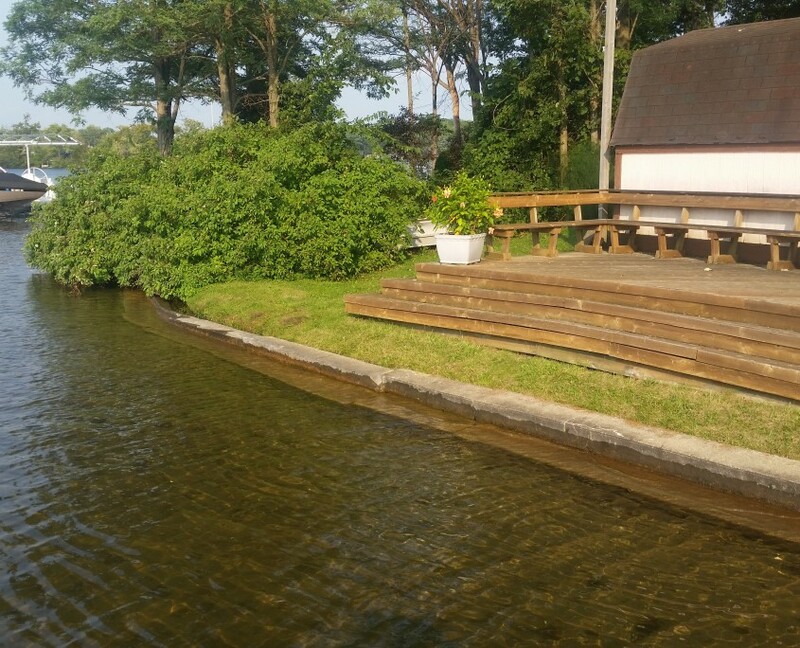 Shoreline Restoration is our specialty! 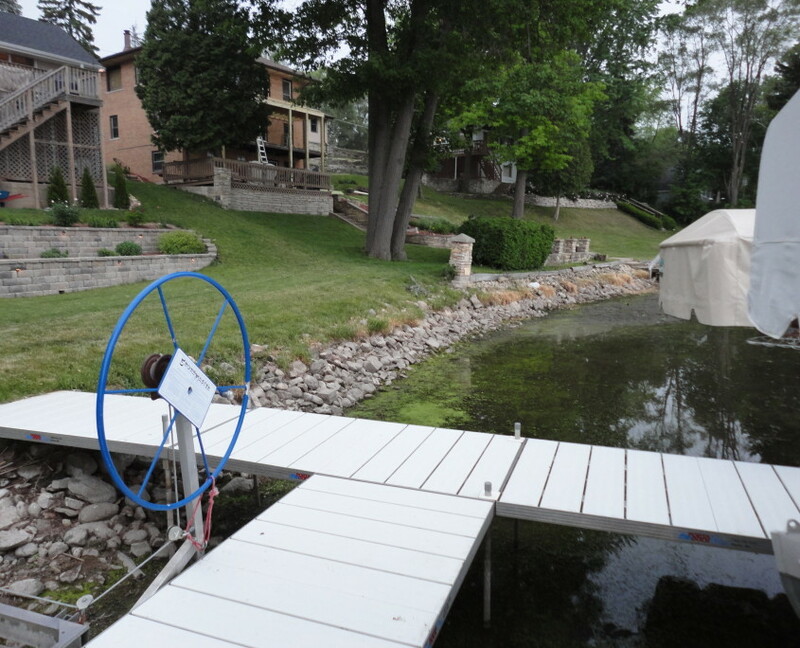 We’ll help you control shoreline erosion and beautify your lakefront property. 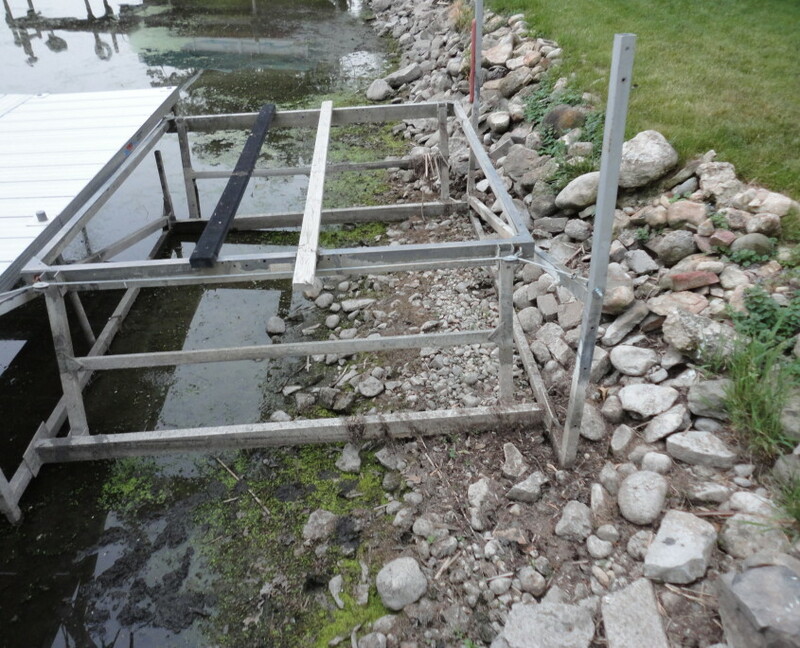 We’ve helped many homeowners across SE Wisconsin solve their erosion problems with long term solutions. 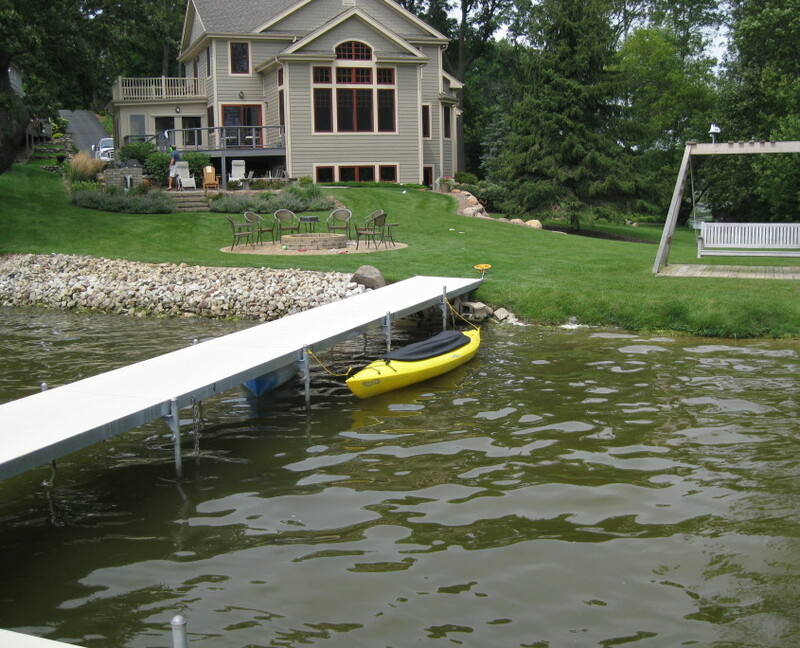 Whether you live on the Fox River, Browns Lake, Bohners Lake, Geneva Lake, Lake Como, Muskego Lake, Tichigan, or any of the waterways throughout Kenosha – our professionals will customize shoreline restoration services to fit your needs. 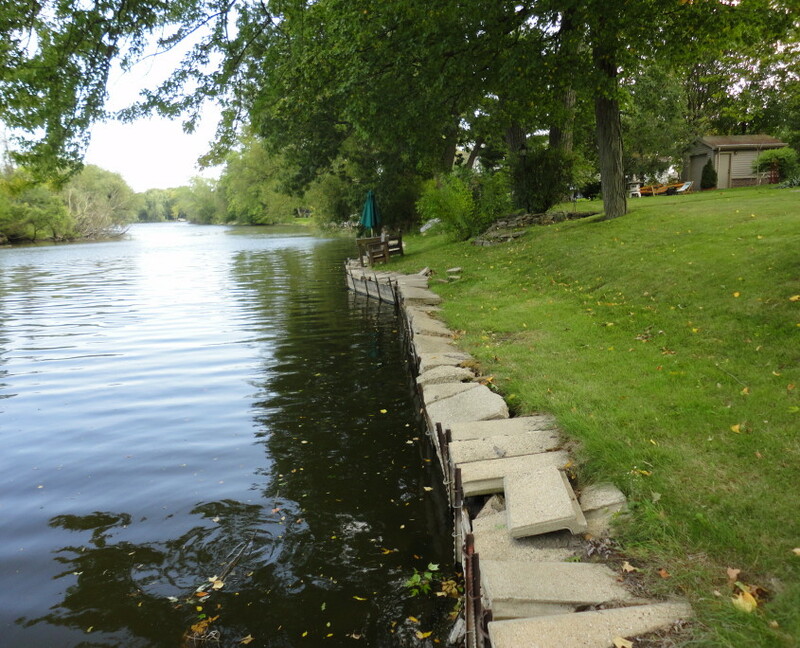 Check out the Before & After Photos of our Shoreline Restoration Work below – if you like what you see, get a free quote for your shoreline. This Waterford shoreline was an eye sore and a nuisance. 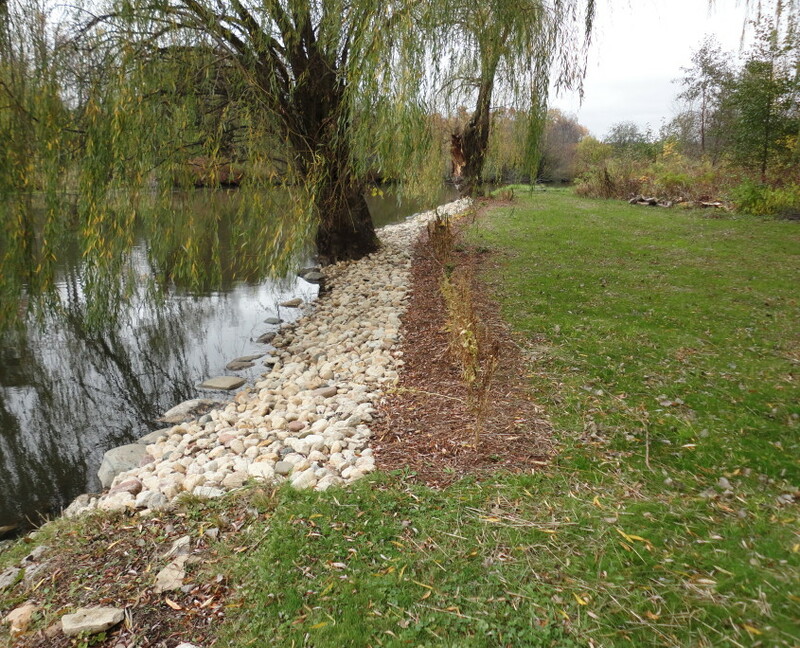 Our Shoreline Restoration Specialists provided a safe solution to erosion and restored the surrounding landscape. 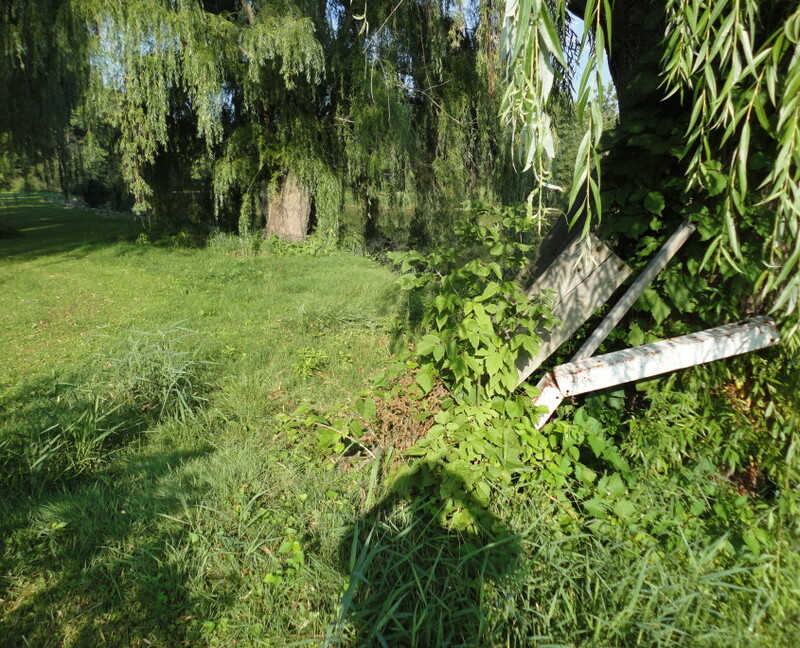 Along the same Waterford shoreline, an old erosion control solution was starting to fail. 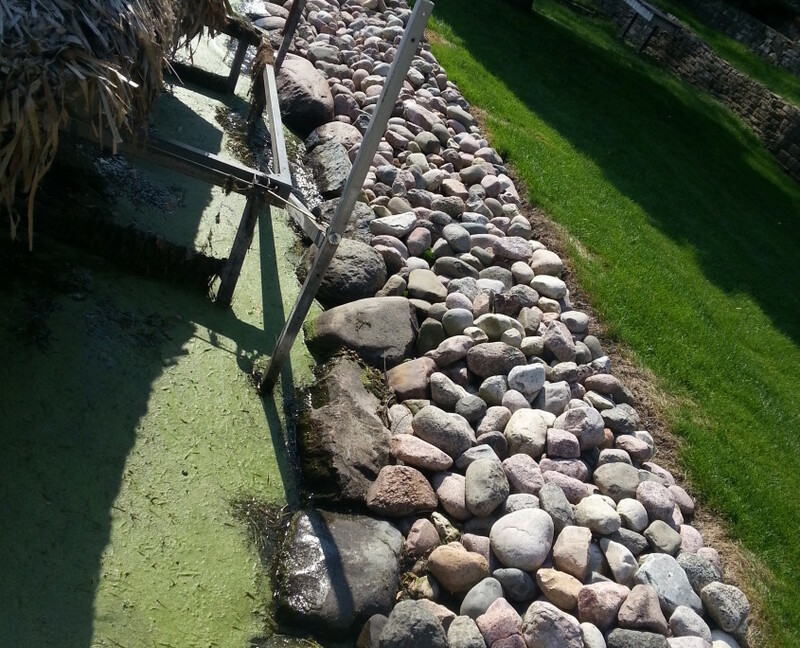 We restored and protected the shoreline with a new riprap (the rocky edge), an easy to maintain plant bed, and the foundation for new grass growth. 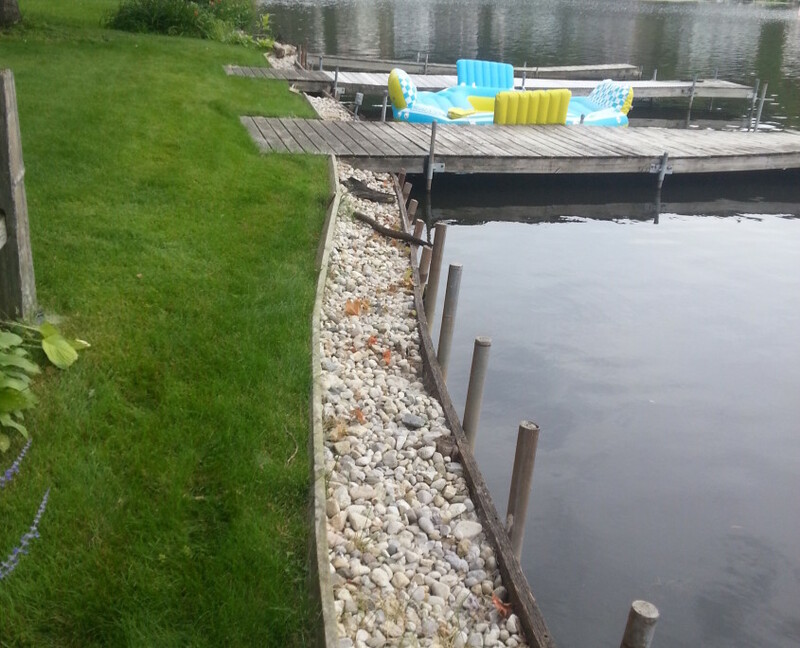 The shoreline behind this Delafield home had an existing erosion control solution. However, it was old, ugly, and only covered the shoreline on one side of the pier. 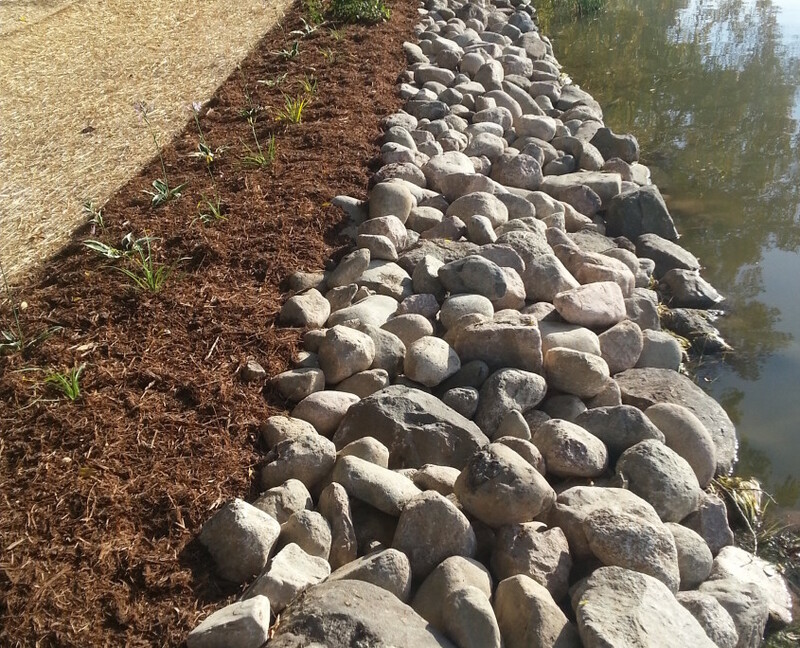 We installed an effective riprap that is also aesthetically pleasing. 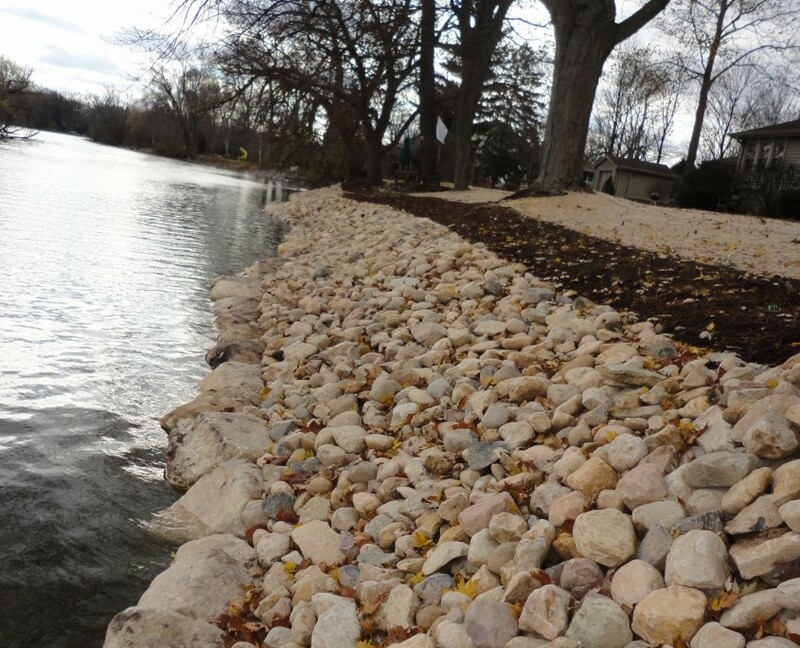 The before photo of this Lake Geneva shoreline is a great example of an outdated erosion control solution. It restricts access to the water, and more importantly, poses a threat of injury. 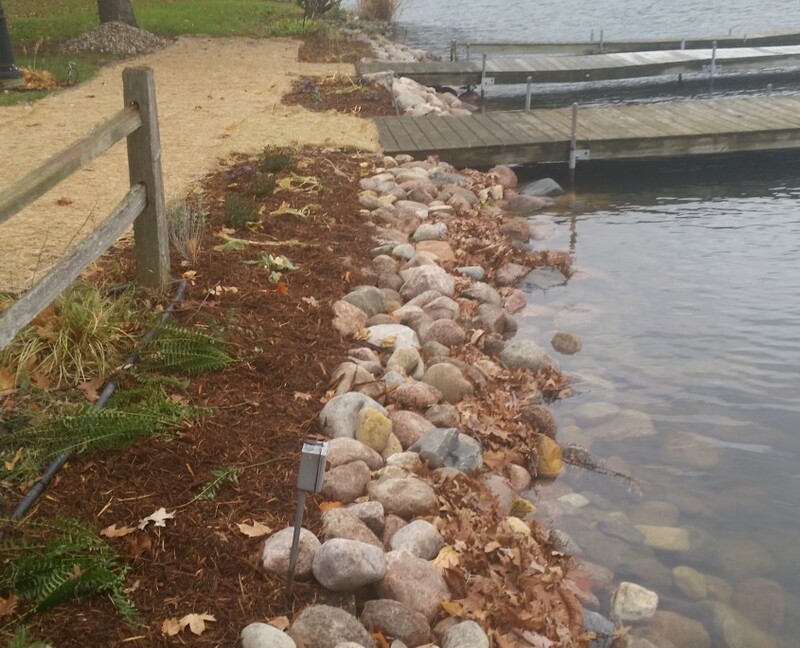 Our updated shoreline riprap, in addition to landscape restoration, adds curb appeal to this lakefront property and makes it safe for friend and family gatherings. The erosion control riprap of this Burlington shoreline had reached the end of its life. 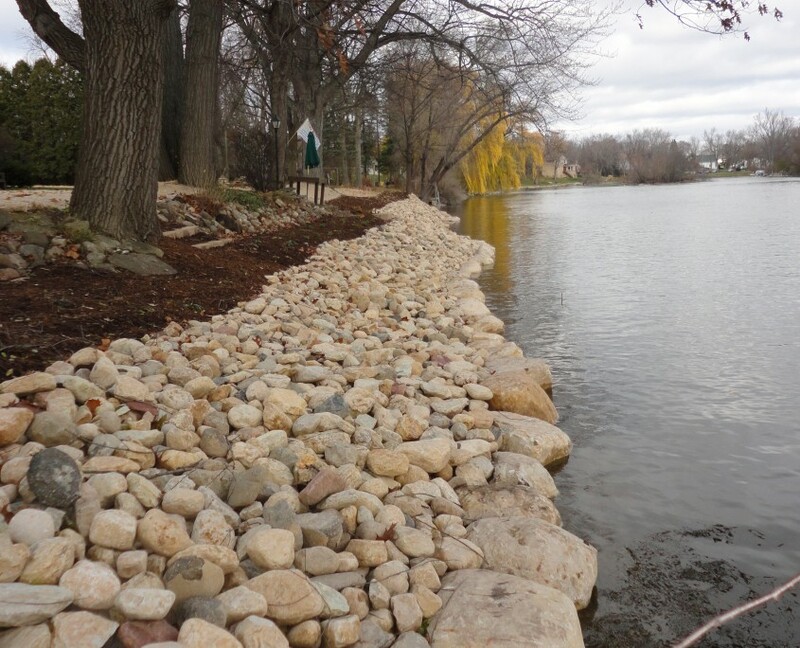 Our Shoreline Restoration Specialists were able to provide a long-term solution that effectively controlled their erosion problem. 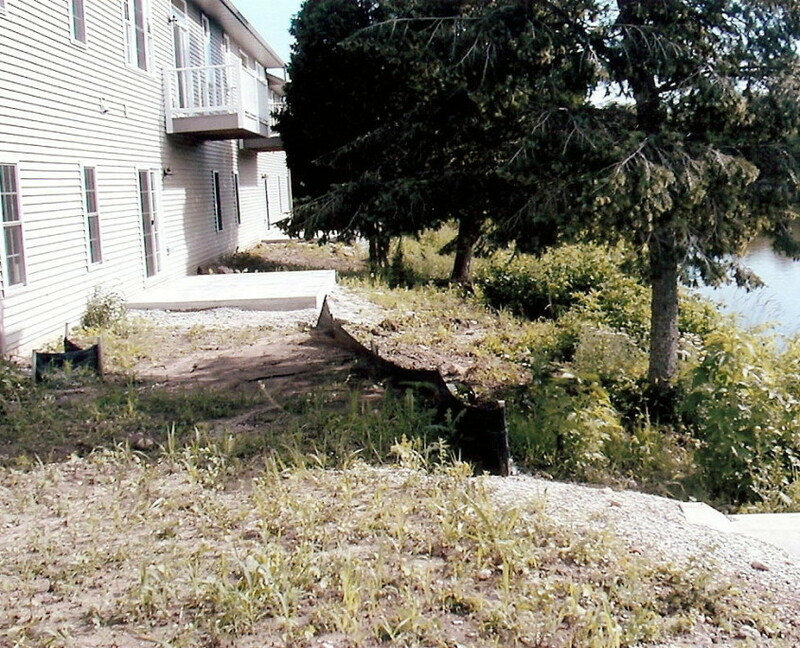 We were happy to restore the eroded shoreline of this Muskego lakefront home. Our restoration solution will last for years to come. 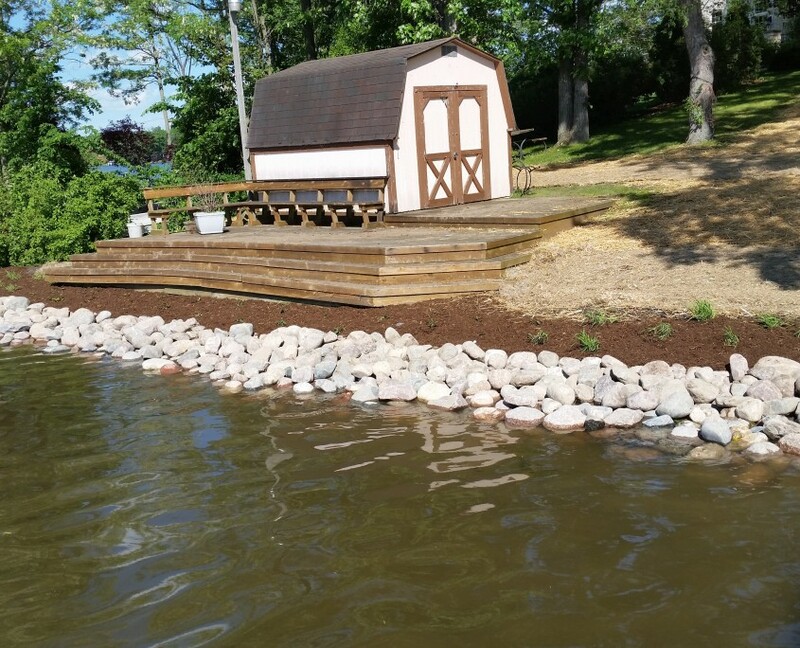 Our Burlington Shoreline Restoration Company will customize an erosion control solution to meet the specific needs of your shoreline. Many shorelines, like this one, are highlighted by large trees. We’ll ensure their health is protected just like your shoreline. 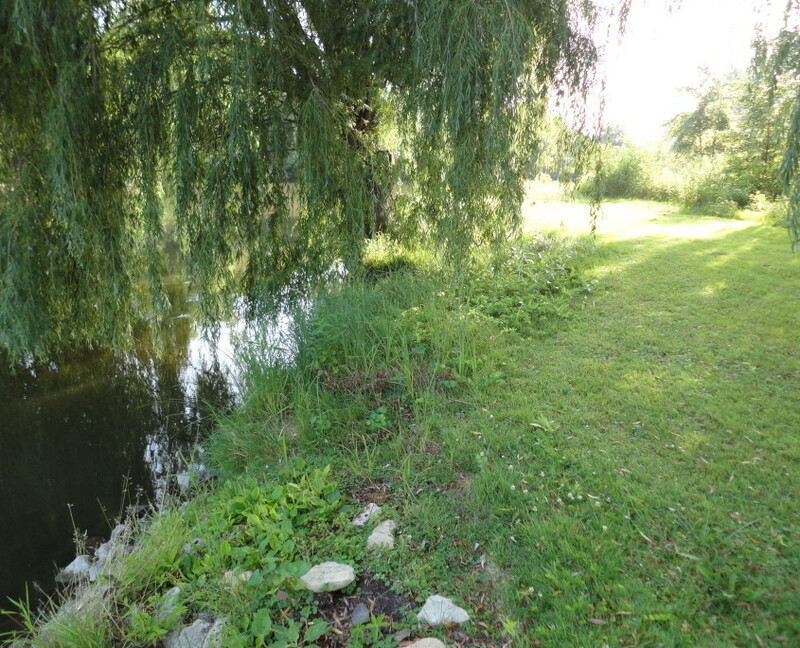 We bring our landscaping professionals in to clear any unnecessary weeds and plant life, and to prepare the landscape bordering your shoreline for optimal erosion control. 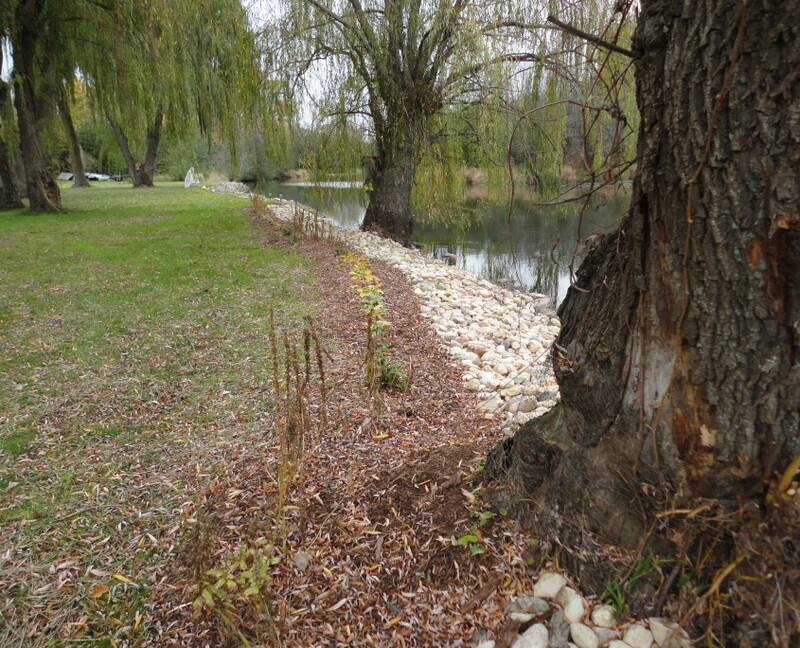 This shoreline was protected by another outdated erosion control system. 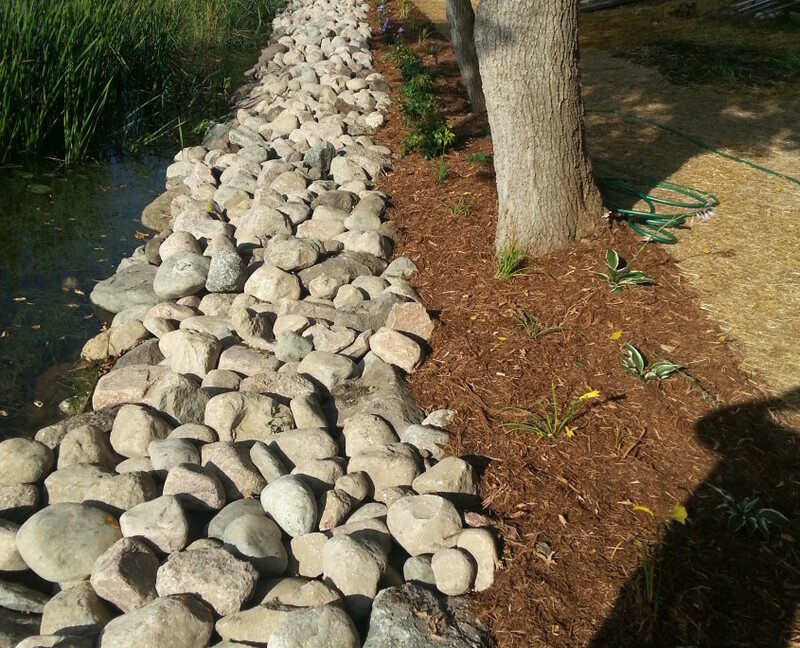 The failing system was removed, the landscape properly prepared, and a new shoreline restoration solution installed. 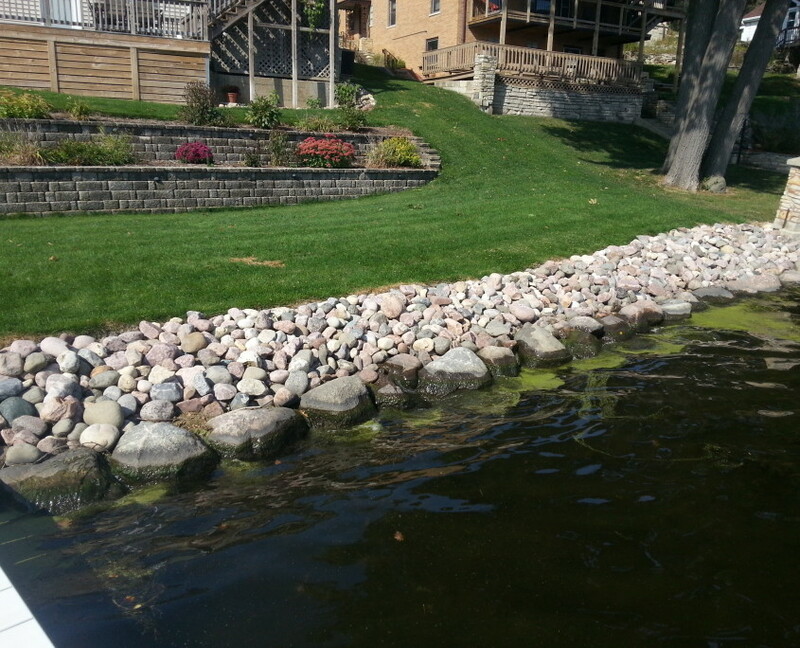 For this new riverfront condo in Rochester, WI, we cleaned up their landscaping and installed a custom erosion control solution. Condo owners can now take pride in their backyards. 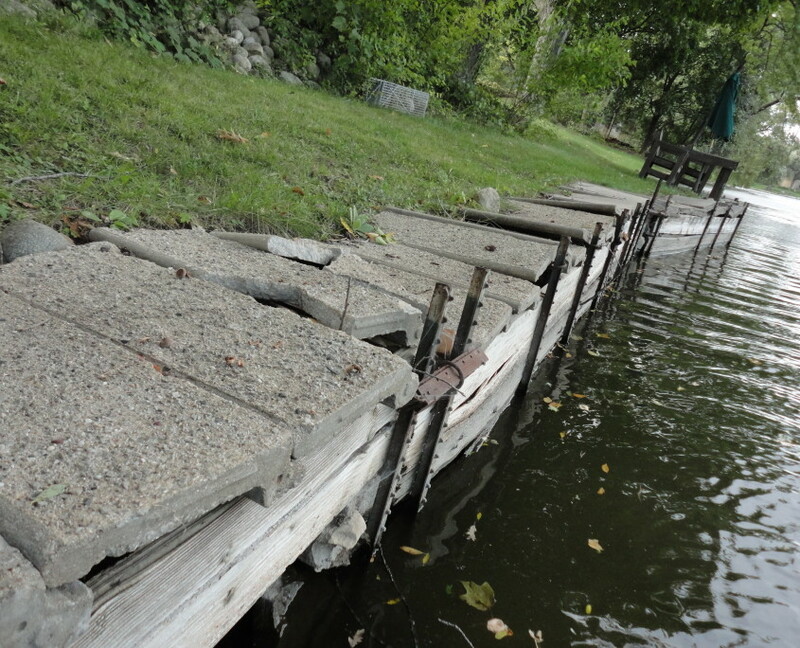 Many Burlington, WI lakefront homes have a cement shoreline wall. 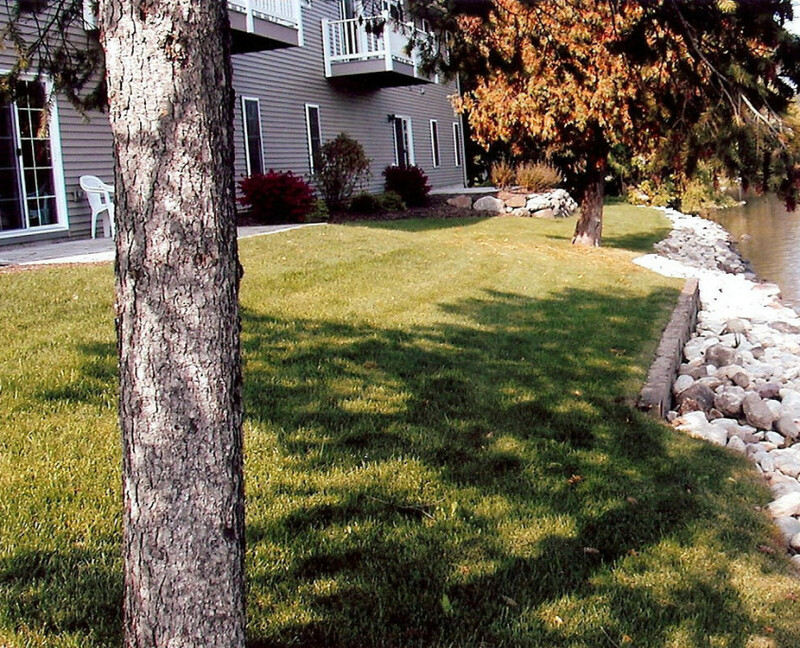 Our shoreline restoration solutions offer long-term erosion control and truly add beauty to the properties they highlight. 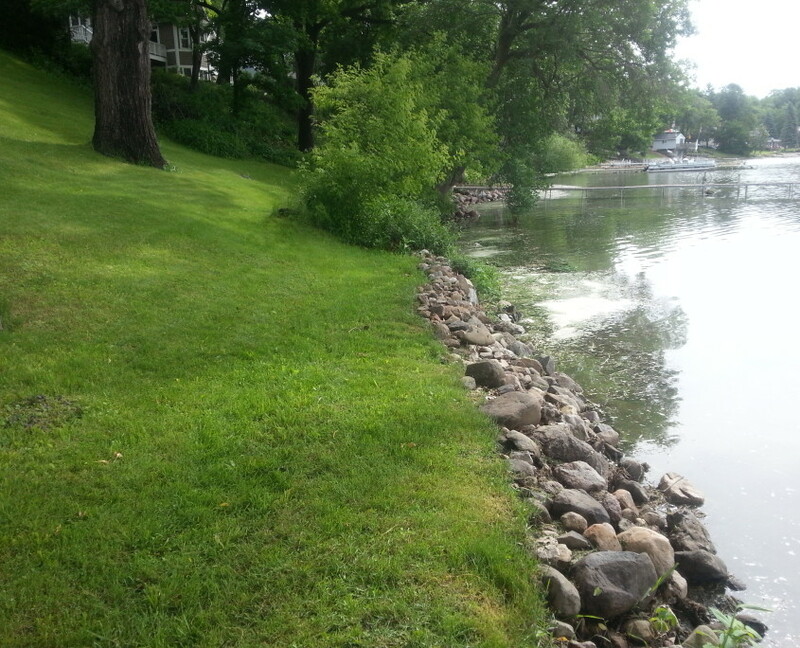 Do you have a shoreline project that you would like help with? 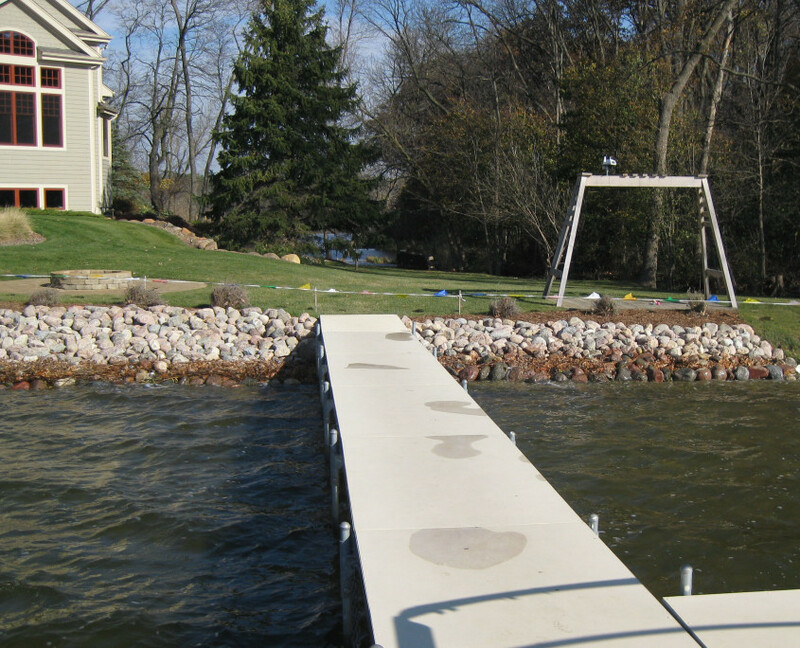 Contact Koch Kuts for a free shoreline restoration estimate.